On the same day that Jared Allen, Ryan Longwell, and Steve Hutchinson reportedly headed to Mississippi to talk with Brett Favre, it looks like rumors are heating up that Favre will announce his return today. 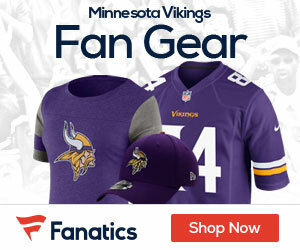 Access Vikings has confirmed that Favre is currently on a flight to Minnesota. Today is shaping up to be the day that the drama dies… unless it doesn’t. UPDATE: Jay Glazer says that Favre told the trio that visited him that he is “back in.” Keep that SUV warm, Childress. UPDATE II: A private jet carrying Hutchinson, Longwell, and Allen has landed in Minnesota. Favre is aboard the flight. Great news. I’ll bet Rices hip will cure faster now too. Things are starting look up Charlie. Harvin is back, Sid’s healing up, db’s looking better and Favres on the way. Lol now I keep checking the sites waiting for an official report that he is joining the team… but it sounds pretty sure so yeah :P. With Favre I try not to get my hopes up til he’s actually with the team practicing/playing though… lol. Heh Judd’s reporting that he’s at the airport and he just saw Favre and the 3 Vikings get out of the plane, so it sounds like its pretty sure now that he’s coming back… unless he just wanted to go watch the Twins/sox series :P.
I’m Ready to see it on Nfl Network, Should be soon!!! So why do three players have to miss a practice and go down there? Did they have a brief case full of money from a locker room collection? Does one of them know acupuncture and the ankle has miraculously improved? C’mon, this seems a bit bogus. Lol it does seem like a bit of a strange scenario… from what heard somewhere (dont remember where) Favre supposedly asked to have those players come bring him back. He had already made his decision before they came. Of course this is probably just a rumor which may or may not be true, but yeah… :P. Either way I doubt it hurt any of those players too much to miss one practice. If this drama was going on in Green bay, Freds pals here on VG would be sooooo critical, but here in Minnesota , it’s fine. AK is the only one with any seeds who is critical of this Richard. Enjoy it. The picture has been painted just like your old Pal Fragile outlined. The idea that the Vikings of old would sell their soles for this jackass is crazy. It’s a disgrace, really. It’s not the fact that he was a Packer, it’s just the lowering of the bar of a proud organization. The player doesn’t have to report to training camp, he can show up whenever he wants, undercuts the coaches. Where are the Vikings fans of old? Probably on Facebook. Bend over…. welcome to year two of “sell your sole”. It ain’t worth a ring for this touch hole. Buds, especially you, man….. turn in your blue plaid shirt. Wrong Freddy! For a ring? Welcome back Banjo! I hear ya, Freds, the old days are gone. Pro athletes get a lot wider road to travel than they used to. I like to see the Vikes have more points at the end of a game just like everyone else, but we have paid a price, to be sure. I know he gives us a better chance to win, but when this all started a year ago, it did not sit well in my gut, and seeing three guys go down there and him coming back with them the same day just has a rotten smell to it. Jeez, what if we had to do this for a dozen players? By the way Freds, the PURPLE plaid flannel shirt stays. I kept it through 4 Super Bowl losses, 6 Conference Championship losses, the Les Steckel year, the Love Boat, the Whizzinator, the scalped tickets and Randy Moss. I will still have it after Brett Favre actually retires. But this whole dog-and-pony show is in the same category. Oh yeah, signed a “Viking fan of old”.